All days start the same, the moment I awake and hesitate moving for fear of the pain. By now I should know that it is always there waiting. Slowly I move my legs and try to sit up. This takes a few tries and then finally I am in a sitting position. After a few moments then I try to stand up, this again takes a few attempts. Then I stagger my way down the hallway, praying I make it to the bathroom in time. 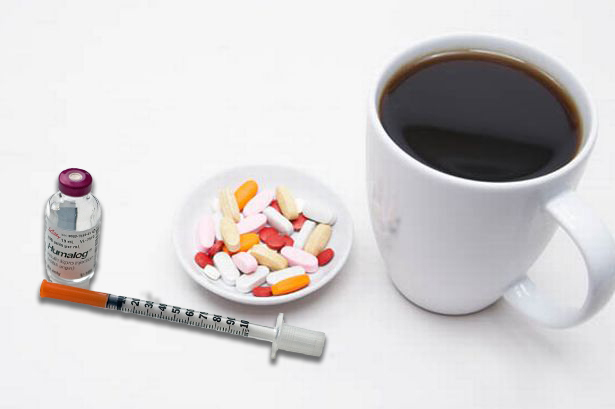 Then my coffee, cup full of pills and my insulin. I sit thinking what my day will be like, moving my legs and arms a bit to see if they have loosened up at all. Holding my cup of coffee with both hands for fear I will drop it. Also taking check on my emotions and if today will be a happy day or one that grief, despair and depression will rule. I always have high hopes the night before and make my To-Do list for the following day. In the mornings as I look at my list, I automatically start checking things off that I know will not get done today. I finally make myself get up and start moving, dressing and preparing to feed and clean the birds. So I gather bowls for washing, and begin to prepare all the fresh foods. I fill all the bowls the night before with their dry foods to help save time in the mornings. Some days just doing birdie breakfast can take me a couple of hours. This may or may not include changing some of their papers as I go along. Once their breakfast/brunch is complete, I have to sit and rest my joints for a bit. During this time I am now fully aware of where my body is for the day and so I can then check my To-Do list again to see what I will truly be able to accomplish. If it is a bad day then there are tears, tears for what I have lost and tears for who I was. My greatest fear is for what is to come. Not for myself but for my precious angels. I already know that I will not be able to continue caring for them as long as I had originally planned for. I will have to say goodbyes to them sooner than I ever expected. Just the thought of this brings me so much sadness. My human children are grown but I also worry how much of a burden I might become for them. I look at my precious grandson and so wish I could run and play with him. He and I have a special bond that I feel so blessed to have, but I know the older he gets the more I will become the old Nana that can’t play and have fun with him. No matter if it is a good morning or an extremely painful one, these are the thoughts that run through my mind each morning. I am glad that my mornings are alone, so that I can get most of these tears and thoughts out of my head before I have to see or talk to anyone. I call them mornings, but this whole process takes me until noon or 1pm to finally just get the morning things done for the birds and my mental and physical checklists done. Then I move forward with the rest of my day. I use to have my house cleaned, birds all taken care of and dinner planned out and prepped by noon. Now I am happy to just have the birds taken care of by noon. The rest of my day is still many disappointments of all the things I cannot do. I try to be positive and happy with the things I can accomplish….but that other person I use to be is always there lurking in the quiet corners of my yesterdays. I miss her very much.